As a site-specific artist, private art commissions are an important part of my work. They not only stretch me creatively, but they’re also oftentimes more lucrative and less competitive than public commissions—a combination that, as we all know, isn’t always easy to find. But that actually points to one of the biggest issues I’ve encountered with private commissions: they require a pro-active approach. While there are over 100 art consulting firms that offer private commissions, the market is very fragmented. Firms can range in size from solo practitioners to those with well over a dozen staff members. Their focus can be on a single market segment, such as healthcare, or a combination of segments, and their geographic range can vary from a single city to a national footprint. With no clear direction or unifying approach, navigating the art consulting world as an artist can be frustrating. I know because I’ve tried it. Many, many times. At this point in my career, I’ve completed more than 30 private art commissions. Now that I’ve had more experience with the art consulting world, I’d like to share what I’ve learned with artists who are now in the position I once was. I’m hoping that with the knowledge gained from this series of articles, you’ll be able to start from a strong position and take full advantage of the many private commission opportunities out there. In addition to combing through my own previous experiences, I interviewed 26 art consultants as part of the research for these articles, asking more about their business and approach to commissions. In this article (the first of three in the series), I’m going to share exactly what I learned from these interviews—as well as actionable tips for artists trying to navigate the art consulting world. “Sheraton Vistana Resort” submitted by Art Initiative, Inc.
Before we dive into lessons learned, I’d like to make sure we’re all on the same page, starting with the basics. What Are the Major Art Consulting Segments? As you’ll see below, each design category has its own characteristics and requirements for artists. Knowing what the segments are—and where their specific focuses tend to center—is the first step to understanding how you as an artist fit into this world. Commercial artwork is a broad category that includes businesses, law firms, nonprofit organizations, government agencies, and other firms. 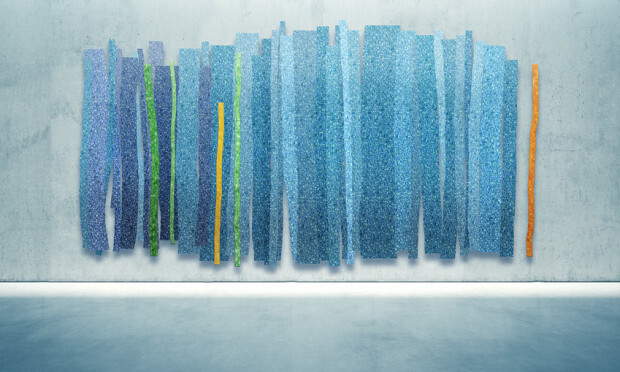 Artwork commissioned in this category is wide-ranging and usually based on the budget, building space, and attitude toward art, especially as it relates to the organization’s mission. For example, if the client is a technology firm that prides itself on innovation, the artwork will be different than that of an established accounting firm working with the federal tax code. Even the age of the client may impact which artwork is selected. “For many of our commercial clients, they want the artwork to reflect their organization’s vision and purpose,” explains Martha Weidmann, CEO of Nine Dot Arts. Okay…So How Do Art Consultants Work? The textbook definition and segment breakdown of art consulting are important, but they aren’t the main attraction. Most artists—and probably many of you—want to know how art consultants work. What do they do exactly? And how do they do it? Having completed more than 30 commissions, I naturally assumed that I knew a lot about art consulting. After interviewing so many art consultants for this series, however, I realized that their work is more complicated than I thought. Understanding how art consultants work—and how we as artists can best work with them—is exactly what the rest of these articles are going to cover. So let’s jump right into the first major takeaway from my discussions with 26 art consultants. 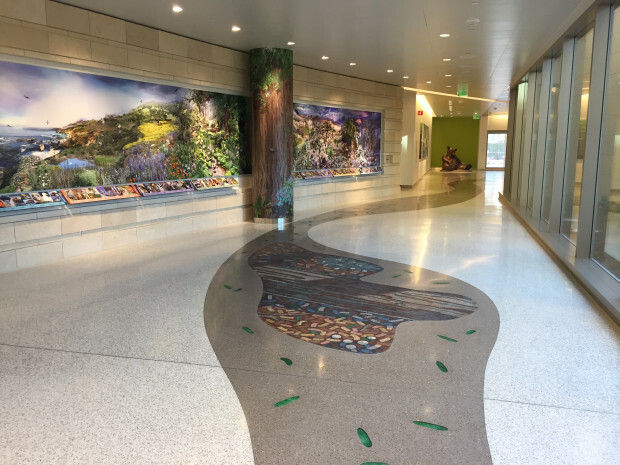 “Lucile Packard Children Hospital Art Collection ” submitted by Aesthetics, Inc.
Have you ever bought shoes that were a bit too small? They look great, but you only wear them once because they just aren’t comfortable. Maybe you liked the idea of the shoes so much that you ignored the signs of poor fit when you tried them on… and now you’re stuck trying to make do or coughing up the cash for another pair. This is similar to finding your place in the sphere of private art commissions. Unless you find a good fit—both in terms of design area and individual art consultant—you’re unlikely to have a positive experience. As an artist, you have to decide which design category best fits your skill set and artistic style. Some artists work in all three segments because they have a broad skill set and are comfortable operating within a wide range of budgets; others prefer to focus on a particular niche that speaks to them or fits their financial expectations. 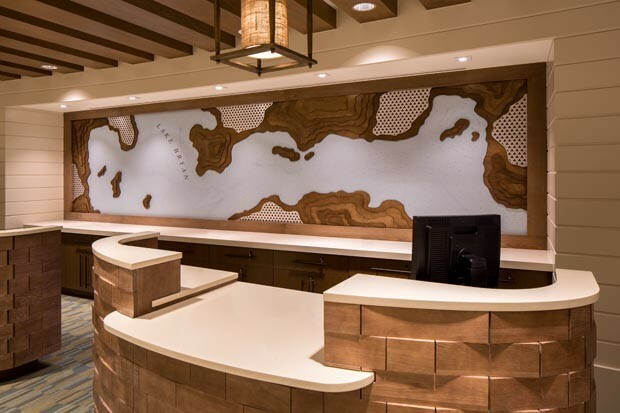 Viewing the wide range of artwork that falls within the healthcare, commercial, and hospitality design categories is a great way to start narrowing down your own interests. Don’t just glance at the artwork in each category; take some time to really examine each piece and reflect upon how your own work would best be represented. To see the latest commissions in each of these areas, visit the CODAworx Project Library, which categorizes projects by design type. It’s important to partner with art consultants who are a good fit for your work and career stage. A mutually beneficial and respectful relationship can be fruitful for years, but it often takes time and effort to find good partnerships. Most art consulting websites are geared toward clients, not artists. But they’re still helpful because they approximate the consultant’s market focus and the quality of artwork sought. For example, if the consultant’s website features multiple projects from well-established artists, that probably means they don’t work with many emerging artists. And clearly, a consultant whose website is dominated by healthcare images most likely focuses on healthcare environments. To find interviewees for this article, I visited more than a hundred art consulting websites. I tended to judge the consultants by their websites, but I realized later that was a mistake. A less-than-perfect website wasn’t necessarily indicative of their segment focus or activity level. About 25% of the websites were high-quality and up-to-date. Another 50% were reasonably up-to-date and had average content. The remaining 25% had poor-quality images and stale blog posts. Overall, consultants’ websites are useful for gaining contact information and a thumbnail sketch of their work, but they rarely portray the current state of the firm. Take the time to understand the marketplace. View work from previous commissions and browse the CODAworx project library. Consider how your own work might fit in. Explore various consulting firms and gather basic info from their websites—but don’t necessarily count out firms with inactive sites. To give you some clearer insight into the process of finding art consultants, I’ll explain what I do. I use a methodical, geographic, stepped approach. Because I need to start somewhere, I first look for art consultants in my own state and then progress outwards from there. You can use this same location-based method, or you can find another way—just as long as it gives you a slightly narrower, concrete starting point, it should be fine. This spreadsheet keeps everything in one place and allows me to easily sort through information that might otherwise become overwhelming. On your spreadsheet, I also recommend rating the consultants based on level of fit. Use a simple scale, maybe 1 to 3 or 1 to 5, to describe how well their practice fits you. Add a few brief notes to remind yourself later why you chose that rating. Once you’ve identified and taken down the details of several potential matches in the healthcare, commercial, or hospitality segments, you can start the work of reaching out to individual consultants—which is exactly what we’ll be covering in the next article of this series. Stay tuned to learn how art consultants prefer to be contacted and exactly what to include in your communications to them. This is the first of a series of three articles on private art commissions. The second article is How to Connect with Consultants and the third is What to Expect Regarding Money and the Full Commission Funnel.